The Linguist is the professional journal of the Chartered Institute of Linguists (CIOL). 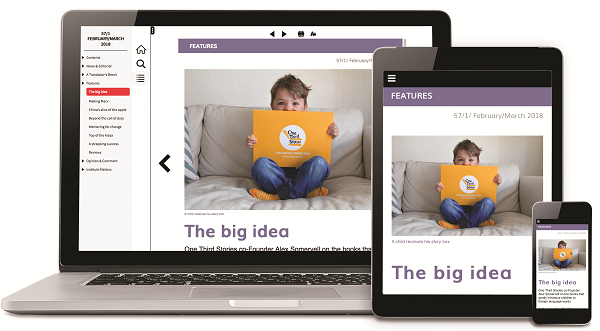 The hard copy is published six times a year and is free to all CIOL members (Student Affiliate and IoLET Affiliate members receive a digital copy only). 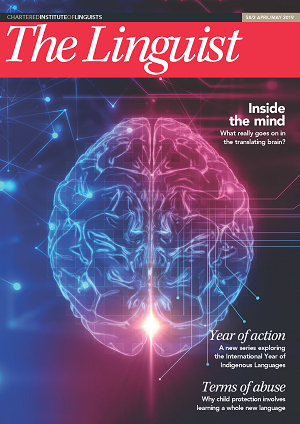 The online version of The Linguist is now available to all CIOL members on a digital platform which features the latest edition, back issues and articles grouped into topic areas, with responsive functionality and searchable content. Non-members can access archive issues of The Linguist on a flipbook platform, giving the public access to a wealth of engaged, well-researched articles on many aspects of the languages profession. The Linguist keeps members up to date with CIOL news and reports on the activities of its Special Interest Groups and regional networks. The journal also offers a wide range of articles of interest to language professionals, as well as to anyone interested in languages and how they impact on other areas. Most recently, The Linguist has explored the implications of the decision for the UK to leave the European Union and how this might impact on the work of linguists; the migrant crisis and how interpreters and translators are vital to their survival; and how President Trump’s changing immigration policies affect the US language industries. Regular items include updates on the work of the All-Party Parliamentary Group on Modern Languages, and 'A life in languages', a series of member profiles written in their native tongue. "Every article is relevant, interesting, well written and doubtless of practical value to members. From trade secrets to therapy, through shared offices and universities to ERASMUS and retour, let alone music and law, emotional capital and jokes, the articles underline the importance and relevance of languages to the UK." The printed magazine is available to non-members on subscription. Student Affiliate and IoLET Affiliate members who wish to receive a hard copy version of The Linguist will receive a £10.00 saving on the annual subscription fee. Archive issues of The Linguist are available below. Logged-in members can access the latest issue and archive via the webviewer. If prompted to log in, use your CIOL website credentials.